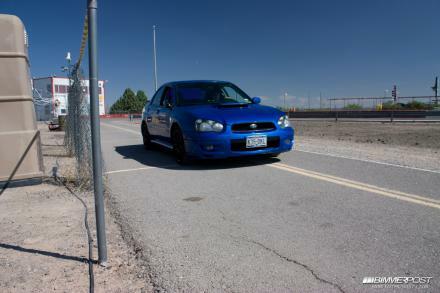 just "F4" stickers under mirrors and Arroyo Secco Track sticker where "WRX" badge was debaged. Perrin front and rear sway bars. Probable a new fuel pump, injectors, and a g18 turbo. FMIC and a CF hood without the scoop.